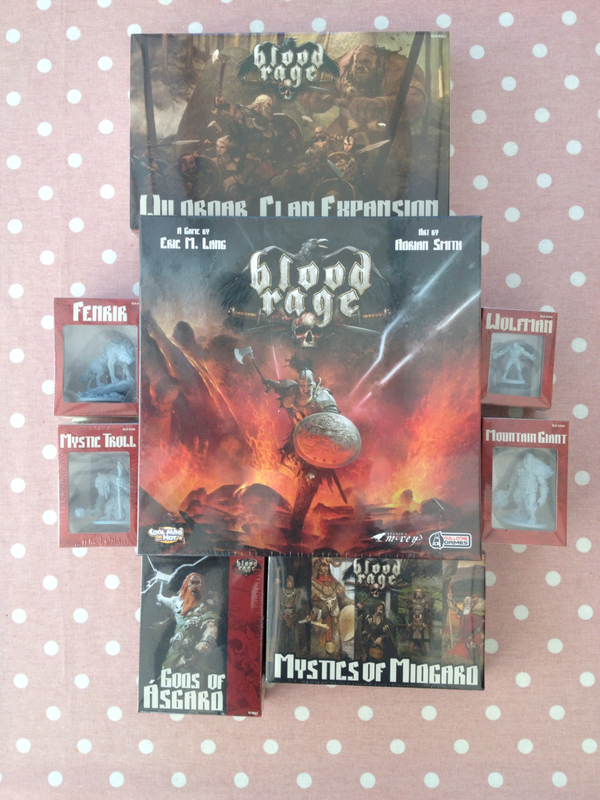 Harold's Revenge: Blood Rage Has Arrived! A sizeable box was delivered today... Inside was Cool Mini or Not's 'Blood Rage'. That's a lot of stuff! Kyle's away at Scout camp this weekend so opening it all up will have to wait until Sunday. Really looking forward to trying this one out! I'll post some better quality photos when I open it all on Sunday. That looks like it could be good fun. Looks cool. Shall look forward to more in depth pics if you can wait that long! !